These hand-forged copper leaves develop rich patinas over time, making each delightfully distinguished. Lisa Pribanic compares her hand-forged leaves to living things: "Every piece starts life as an original and becomes truly unique the more it melds into where it lives." Of course, unlike real leaves, Lisa's creations don't need to be watered, and they'll never wilt. Her copper creations change by developing handsome patinas that bring out their rich textures. Bend the wire stems to fit the leaves in a vase and create a charming centerpiece, add them to a floral arrangement (it's OK if they get wet), or place one anywhere you're looking to add a touch of organic beauty. 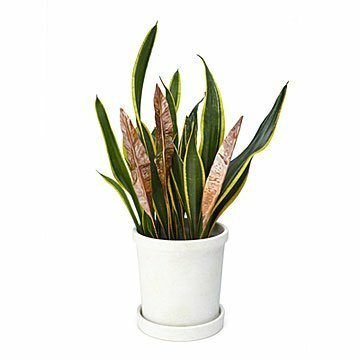 Depending on the climate where you live, whether you display these leaves outdoors or in a houseplant—and really, just how nature takes her course—the patinaed tones will vary greatly. Each leaf in the set of three could take on a completely different hue over time, making every piece delightfully distinguished. Handmade in New Jersey.